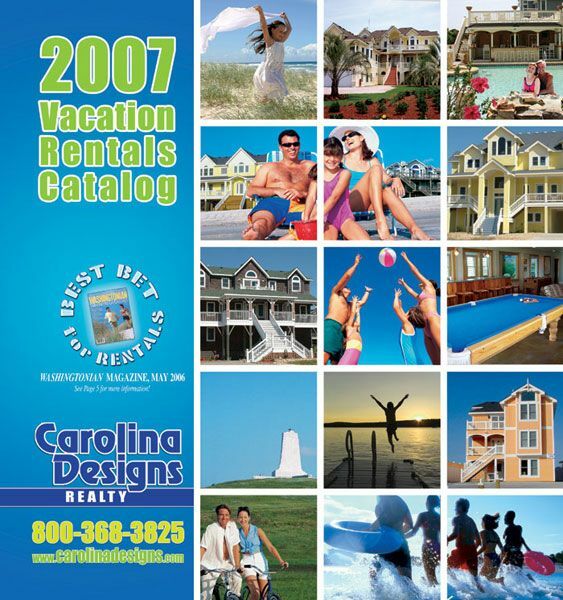 Rental catalog design for Carolina Designs’ 2007 vacation year. 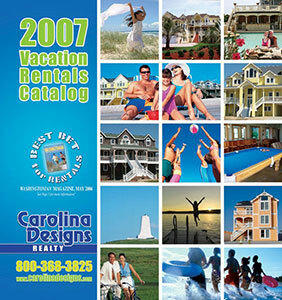 Bold Print Design Studio is responsible for the overall look and style of the catalog. 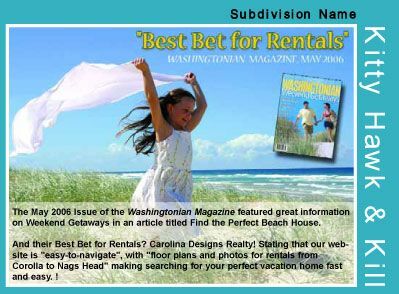 Each year we come up with a different theme that we carry out through the catalog as well as the ads and other marketing materials they put out over the year. 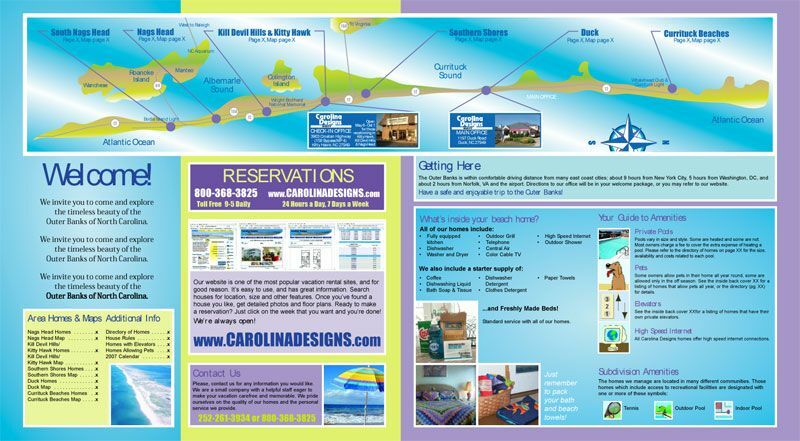 We are also responsible for developing all of the graphics inside the catalog including the maps, special homeowner pages, informational pages, inside cover spread and town intro cells. Over 200,000 catalogs are printed each year.